For some, razor bumps are inevitable given the sensitivity of the skin, thickness and coarseness of the hair, and necessity to shave every day. But there are some preventative techniques that may help to reduce ingrowns. First, thoroughly wash your hands with soap and warm water. This will mitigate the risk of secondary infection. Second, wash your face with a facial cleanser. Cleaning your face beforehand also helps to soften the follicles. Use lukewarm water. Avoid very hot water, which can irritate. Holding a steamy towel to the face for a few minutes may be particularly helpful. In addition to shaving, which itself exfoliates, use an exfoliant face wash at least twice a week to gently remove excess skin oil, debris, and dead skin. Dead layers of skin can prevent facial hairs from growing outward, which causes ingrown hairs. Alpha hydroxy acid (e.g., glycolic acid, citric acid) is a popular exfoliating compound. Facial scrubs with micro-particles work well but resist using force when “scrubbing.” Apply a scrub with your hands or a soft washcloth (not a loofa) to prevent excess exfoliation and micro-tearing of the top layer of skin (epidermis). Apply a well-formulated, gentle shave gel or cream containing no fragrance or irritants like alcohol and iodine, working it into your beard. Allow it to settle into the skin for three to five minutes prior to shaving. The purpose of shaving cream is to reduce friction between the blade and the skin, prolong the life of the blade, and soften the hair. The success of a shave is based on the ratio of hair removal to skin removal. A well-designed blade accompanied by a well-formulated shaving cream will increase this ratio. Shaving cream increases the amount of water that enters the hair shaft, thus softening the hair shaft and allowing the razor to cut the hair cleanly with less force. Post-foaming shaving gels are better at softening the hair than regular shaving creams due to more water absorption. They’re aerosolized as a gel and then foam to a cream when rubbed into the skin. 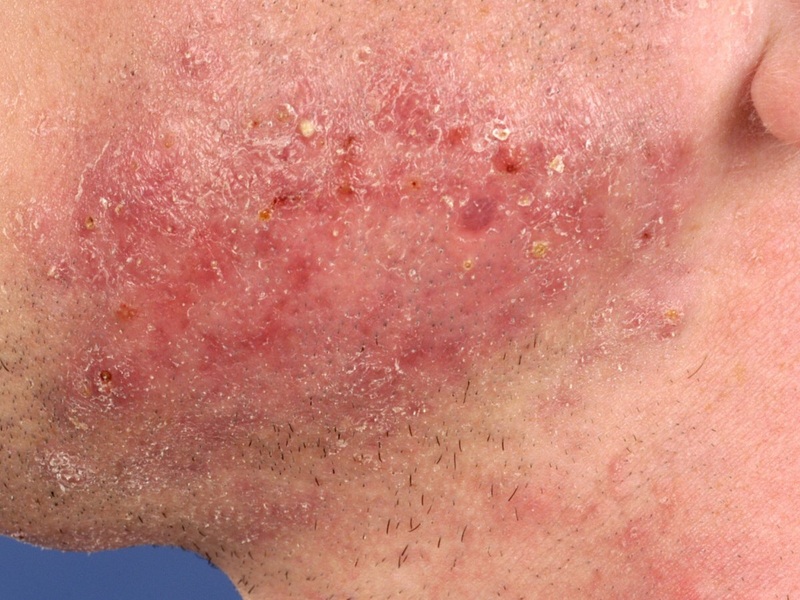 Post-foaming shave gels provide the following benefits for pseudofolliculitis barbae: 1. The hair is cut closer to the skin and less likely to ingrow. 2. The hair is cut cleanly without a frayed end preventing skin re-entry. 3. Reduced shaving pressure minimizes cutting of the razor bumps, creating an irregular skin surface. 4. Shaving discomfort is reduced…. For application of shave cream or gel, “expert” shavers recommend a badger brush. When you lather up your beard with an old school badger brush, the shaving cream/gel distributes under each whisker, enabling a smoother shave. If you choose a razor, make sure it is sharp. Change blades frequently to avoid dullness. Blades have a relatively short life. The AAD recommends changing blades after five to seven shaves. (AAD video demo.) If you’re noticing not-so-close shaves and resultant itchy skin, your razor is getting weak. To compensate for a dull blade, people tend to apply more pressure when shaving, which leads to uneven cutting and subsequent ingrowns. Avoid multiple blade razors, especially those with more than two blades, as irritation increases with each stroke of a blade. On that same note, avoid passing over the same patch of skin (or hair) twice. You may have more success with an electric razor because it cannot cut as closely to the skin or base of the hair shaft as a blade. While its use may help to reduce razor burn and bumps, a less clean shave (slight stubble) may be aesthetically displeasing for some. If you try an electric razor, you may want to avoid those with rotating heads. This feature can cut the hair off in various directions, which can cause the hair to grow back into the follicle. For more information on foil vs. rotary electric razors. Use a clean razor. Be sure to rinse your blade often during your shave to remove buildup and maintain sharpness. If done carefully, it’s okay to clean a blade with rubbing alcohol pre-shave. Dipping the blade in alcohol is obviously safer than applying it with your fingers. Shave with the grain or in the direction of your hair growth using short strokes. Shave gently. Avoid firm pressure. Excessive shaving pressure cuts more skin around the follicular ostia, causing increased inflammation. Do not stretch or pull on the skin, thereby creating counter-resistance. Wash (do not just towel off) your face after shaving, as well. Doing so not only removes shaving gel/cream, but it also rinse off any bacteria that may have transferred from the blade or your fingers to your face. Follow your shave with a moisturizer to help repair the skin barrier that shaving has damaged. Moisturizers with glycerin, as well as aloe vera and coconut oil, work very well due to their anti-inflammatory properties. 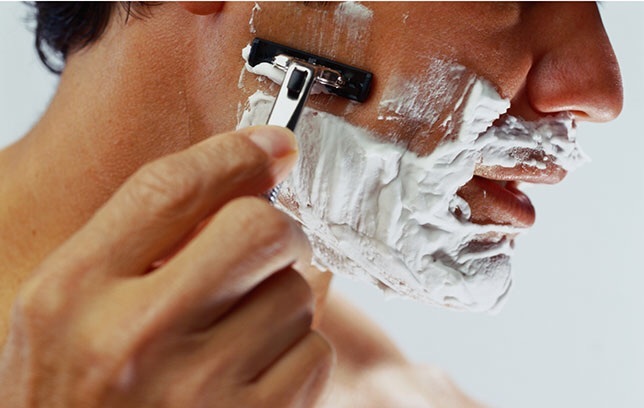 Applying after each shave can reduce signs and symptoms of razor burn. 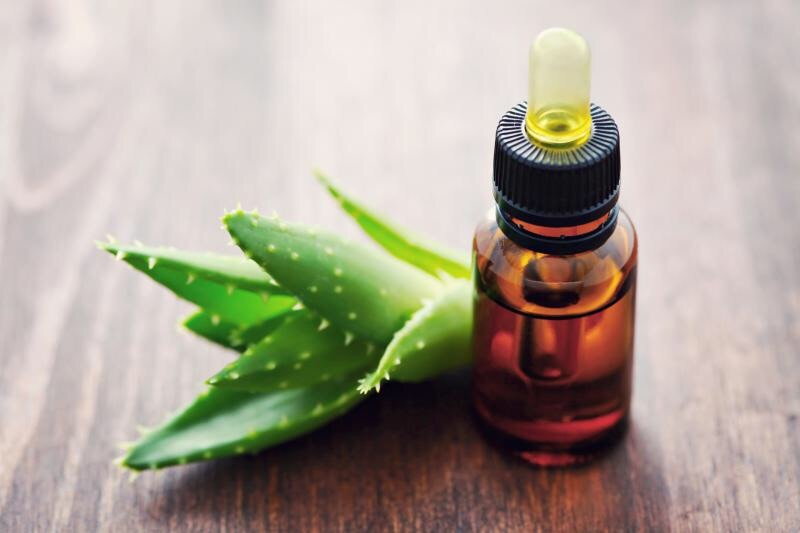 If a moisturizer alone is not enough to ease irritation, applying aftershave or an astringent containing witch hazel, tea tree oil, or benzoyl peroxide before a moisturizer may help. Use caution, however, because these substances will likely sting, especially if the skin is nicked or you have sensitive skin. An over-the-counter hydrocortisone 1% cream may alleviate irritation, as well. Go collarless to reduce friction on shaven areas, namely the neck, which is most prone to ingrowns. Take the weekend off from shaving if your skin is inflamed. Shaving over ingrown hairs will only aggravate the problem, so, if possible, skip two to three days between shaves to give your skin a chance to recouperate. If all else fails, stop shaving altogether. I know this isn’t a realistic solution for some. Although it still requires some grooming, a beard may be less of a headache. REFRACTORY CASES: See a dermatology provider. If you suffer from an exasperating case of PFB – one that is not mitigated whatsoever by proper technique or one that is only getting angrier – an evaluation may be in order. Woo hoo! Laser hair removal (with a device appropriate for one’s skin type) can remedy PFB very well in most patients.